Rosh Pinah ("corener stone" in Hebrew), is a small mining settlement located in southern Namibia near Orange River, close to the border with South Africa. 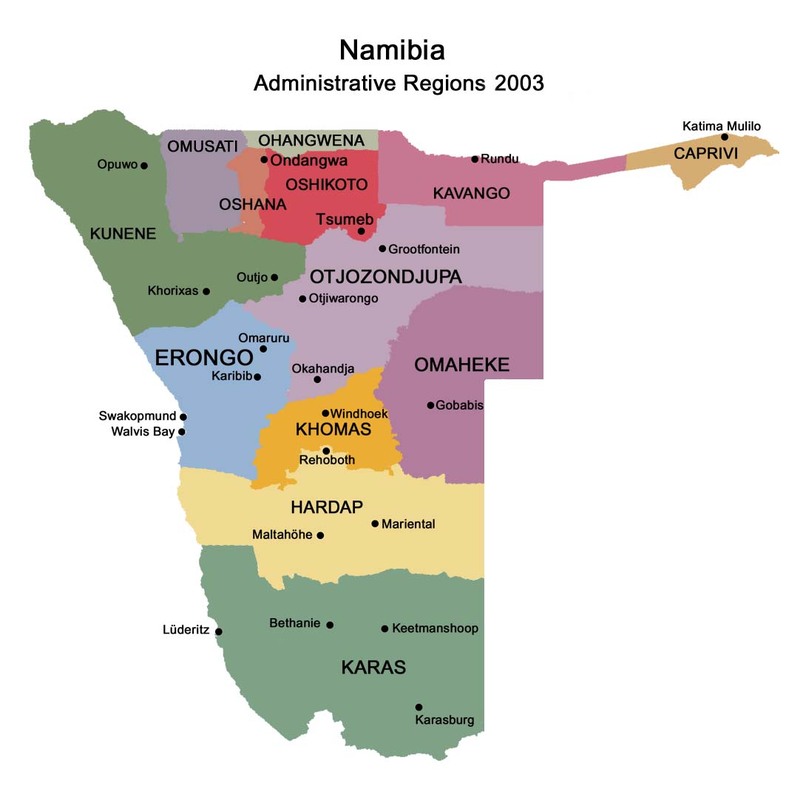 This southern part of Namibia is known as the Karas Region. 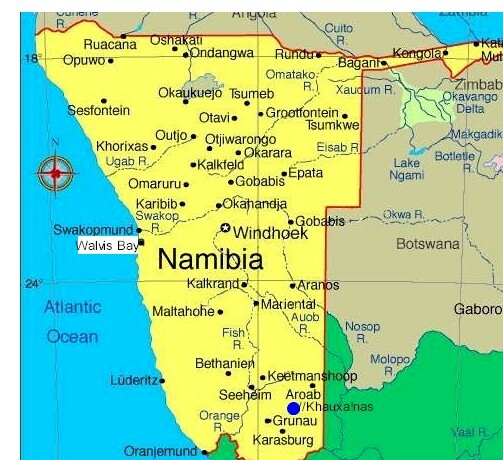 West of the town lies Diamond Area 1, the main diamond mining area of Namibia. Rosh Pinah belongs to the Oranjemund electoral constituency. The town is connected via road to Aus. Rosh Pinah is located less than 160 km north-west of the Noordoewer border post. Mining operations started in Rosh Pinah in 1969 when the Rosh Pinah Lead-Zinc Mine commenced operations. The mineralization in the area was first discovered by geologist Michael McMillan in 1963. The Israeli-sounding name of this remote mining village was bestowed by a German Jew, Moses Eli Kahan, who discovered copper here after WWI. With the drop in copper prices in the early 1930s, the mining was abandoned, but in the late 1960s, the mining indefatigable Moses, now in this 80s, discovered veins of lead-zinc in the mountains. A South African zinc-mining firm still extracts up to 75,000 tones of ore annually at Skorpion Mine. There is Amica Guest House as accommodation option in town (as well as Four Seasons Lodge) and you can camp outside of town. To get to Rosh Pinah, take the C13 from Aus or tackle the rough but scenic 150 km Orange River road route from Noordoewer. work in this harsh desert environment. The surroundings of Rosh Pinah offer spectacular rugged mountains and desert scenery. The unspoiled beautiful landscape of Huns Mountains is a great way to get away from it all, relax and enjoy the tranquility.